Bryant Park Blog: Happy Presidents Day! Here’s a piece of Bryant Park/US President trivia you may not know. 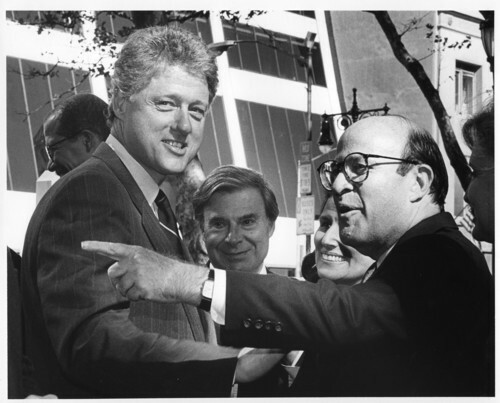 During the 1992 Democratic National Convention, a rally for presidential candidate Bill Clinton was held in Bryant Park. Recognize our neighbor, the Grace Building, in the photo below?